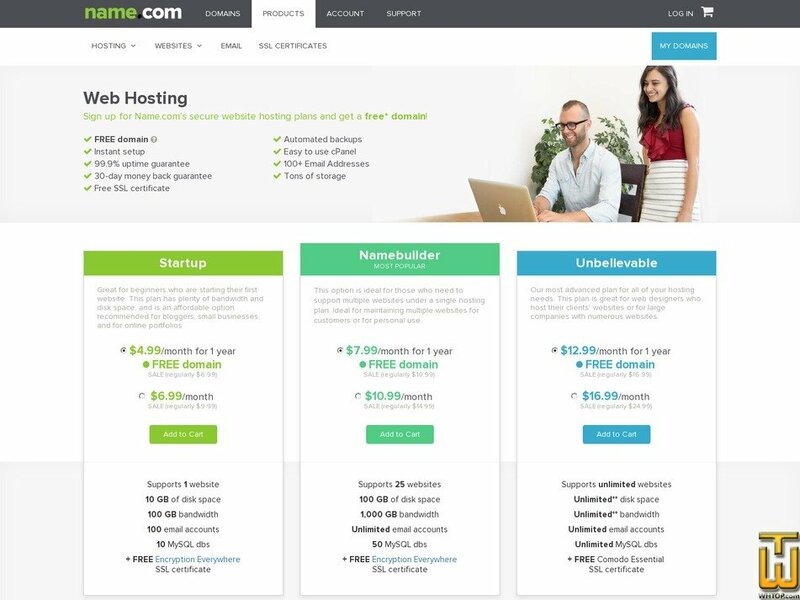 Sign up for Name.com’s secure website hosting plans and get a free* domain! Great for beginners who are starting their first website. This plan has plenty of bandwidth and disk space, and is an affordable option recommended for bloggers, small businesses, and for online portfolios. *Host your website with name.com and get up to $12.99 off one domain registration for one year. Sale price not applicable on renewals. Price Was 19.99/mo Up To 75% Off !